Project manager Declan Morris always knew he wanted a career in which he could help people. I am now Project Manager for Extern Homes, an innovative project to help people move on from homelessness, but my background was originally in youth work. Around 17-18 years ago, though, I became an administrative assistant with the Simon Community in one of its hostels and worked my way through a variety of roles, including as a manager of a homeless hostel. I’ve been project lead for Extern Homes since July 2016, which, since it started, has helped to ‘free up’ over 2,000 nights of supported accommodation for people who are homeless and in need of hostels, and given nine people a home so far; and there’s more to come. After university I worked in the Civil Service for a couple of years but I wasn’t happy. Genuinely, I knew that I needed to find work that suited what I felt was important to me. So I got searching and was over the moon when I was appointed as Foyer Assistant at a local Simon Community hostel. The best part is handing over a set of keys to an Extern Home to someone, as this is their opportunity to come out of the difficult situation they’re in, and provides that sense of hope to them. The biggest challenges are getting people to work together for the greater good of those that are homeless. Homelessness will not be ended if we don’t work together to do so. change that, and we are striving to do more. And so what we do in Extern Homes is provide an opportunity for people who are homeless to move on and get their life back. Extern Homes is run by Extern, Ireland’s leading social justice charity. 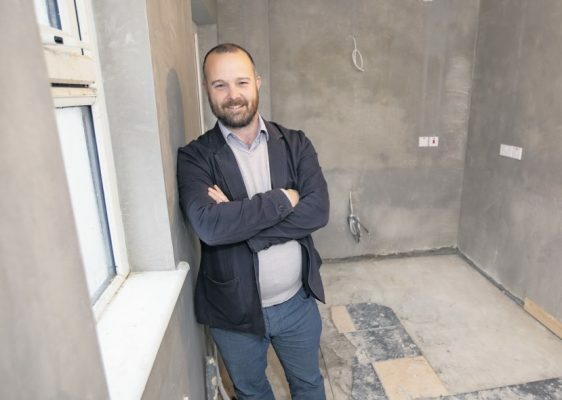 Extern has bought homes to be able to create two-year supported tenancies in private housing for people who are homeless, or who are at risk of homelessness.